Gerard Scarano was appointed to the IU Executive Board in May 2005, continuing a family tradition of service to the Union. He was elected to a full five-year term of office in October of that year, and re-elected in 2010 and 2015. Scarano began his apprenticeship with Local 35 New Jersey in August 1969 and became a Journeyman in August 1973. In the decades that followed, he served as the Recording Secretary and Delegate to the New Jersey State Conference, and Assistant Business Agent and Business Agent for his Local in New Jersey. 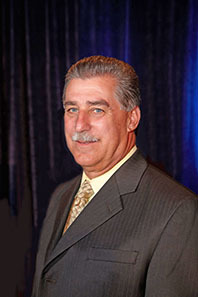 With the merger of the Locals in southern New Jersey into Local 5, Scarano became First Vice President and Field Representative for the newly formed Local, and two years later, was named Secretary-Treasurer. In February 2001, Scarano joined the IU’s staff as Regional Director. During his time as Regional Director, Scarano played an important role in helping Locals develop and implement organizing plans and, as a member of the International’s Executive Council, served on the Millennium Morning Project Committee. Scarano is a graduate of the Harvard Trade Union Program and has served as a trustee for a number of Funds including the NJ State BAC Health Fund, the NJ State Apprentice Training and Education Fund, the NJ State Labor Management Trust, the Middlesex BM & P Fringe Benefit Fund, and the IMI Area Program Board. He has also served on the National Heavy & Highway Alliance Regional Committee and the New Jersey Transit Authority Committee. In 2004, he was named Co-Chair of the New Jersey State Labor Management Committee and Vice President of the New Jersey State Building Trades Council. Scarano’s service and dedication to BAC is part of a family tradition that includes his father, four brothers, and son Jerry. His father Michael was a Gold Card member and served as a Business Manager for over 25 years.